Good Morning! I am Nikki Bywater a publicist in the book world who works with new authors and writers, helping to get their book from manuscript to print and to raise authors profiles. It is also my job to make sure you know about their new book. Many of the authors I have worked with are now published and well known and their books are available to buy in shops. I work with amazing people. I like the variety of the job, how everyday is different. I am also a people person, very sociable and outgoing. I also am a professional book reviewer and run a book blog. As much as I love my job my family time is the most important to me. Spending time with my husband Andrew and my two teens is very special to me. You have a background in media. How did that come about? I was given a wonderful opportunity by a well known writer to work on his latest TV drama. This went on to give me my lucky break and I went on to work in television and film. I have always been drawn to media. I am also related to Don Robinson who is well known for the work he did in media and for Yorkshire Television. He is best known for bringing Little Richard to Bridlington and promoting the well known wrestlers from the 1980’s as well as owning a lot of the tourist attractions and theatres in Scarborough. I just wanted to do that, it sounded exciting, so I just knew from a young age that I would work in media. In your work as a jobbing actress, what sort of things were you involved in? I was lucky enough to be signed by an agent at a casting agency. They provided actors and support artist for small acting parts for well known television dramas and films. I worked with brilliant producers/writers/ directors and some well known actors. I had some wonderful opportunities and worked on some great TV dramas and films. But it was always writing I was more interested in. When I got the chance to become involved with storyboarding and writing scripts, I knew this was what I wanted to do. What sort of support to writers does your blog Nikki’s books4you offer? The blog gives a platform to new writers. It offers free guest spots and reviews to all authors and writers. This gives a chance for new writers to showcase their work and for readers to be introduced to new authors and books. If you were planning to write a book which genre would you choose and why? I am currently writing a new book now. I like human interest stories and the book I am working on is a very inspirational true story, that is very close to my heart. I write under a pen name. I like having this a whole secret identity that no one knows about. Can you tell us something about your paranormal work? 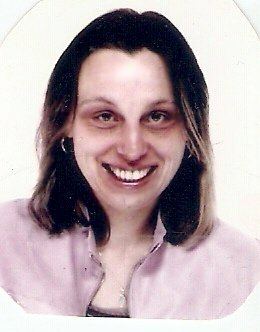 My father is a psychic medium at the Spiritual Association of Great Britain. This is something that goes back in my family for generations. So I grew up with people like the late Doris Stokes. You will not find me running around in the dark with a big torch for my paranormal work. Mediums interest me more than ghosts, so I look and research mediums. I think if we are going to find out if there is an afterlife mediums will be the key to unlocking this. I also work to bring in testing for mediums. The situation now is with the internet anybody can set up and call themselves a medium and charge large amounts of money. It is easy to use our information on Google or social media to find knowledge and something needs to be done as you are dealing with the bereaved and vulnerable people who can get taken advantage of. It should always be done and handled in a very careful way. If like at the SAGB, mediums are tested and then the next stage would be to introduce a licence that mediums are given a qualification before they can practice. And now we come to something that has intrigued me for a long time. Socks. You have a large collection, some of which you post on FB. When did you start collecting and how many pairs do you currently have? The socks! It seems to have become the thing I am becoming more known for and it makes me smile. The socks all started a couple of years ago when I became very ill. I found out I had an auto immune disease and I was immunosuppressed using meds, which means that my immune system now is turned off and this gives me a better quality of living. So one of my close friends decided I better keep warm in winter by wearing socks. So I posted a picture on Facebook and Twitter of me wearing the socks she gave me to say thank you. 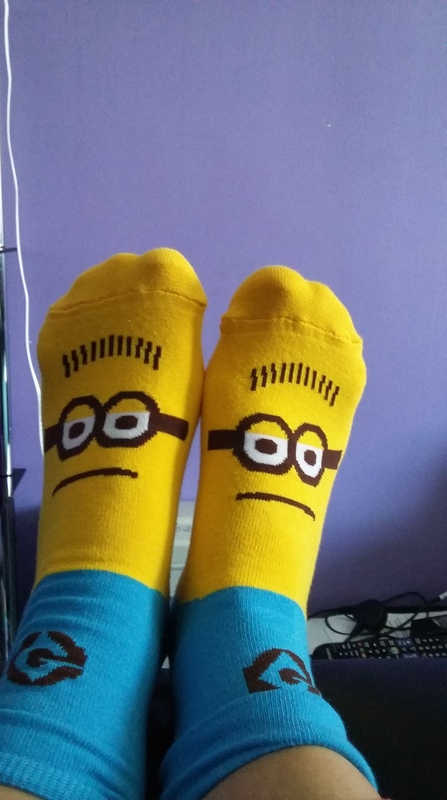 Then thanks to the power of social media and due to me at the time doing a lot of volunteer work for new writers… I began to get socks in the post. Many from writers as a thank you, or just from the lovely people out there who had read and heard about my illness. I was overwhelmed with how much good can comes out of people when you are going through a tough time. I must have hundreds and each pair sent to me gets a photo on social media and a mention of thanks to the lovely person who sent them, or I am asked now just to post pictures of them as people say they make them smile too. It has grown into a huge collection! I have boxes of them. I try to wear as many as I can and have been known to wear them to important writing meetings and they do cheer me up wearing them for hospital appointments too… But best of all they keep me warm throughout the winter. And finally, you’ve been stranded on a desert island. What four essentials would you like to have with you? Post it notes, a pack of pens, notebook and thesaurus… Then I can happily write away until I am rescued! So great to learn more about my lovely friend! Nikki gives so much of her time to help promote authors and help out with book tours when she’s able to. She’s always been a great support to me both personally and through book work. Love this girl! Great post. We writers need people like Nikki out there. 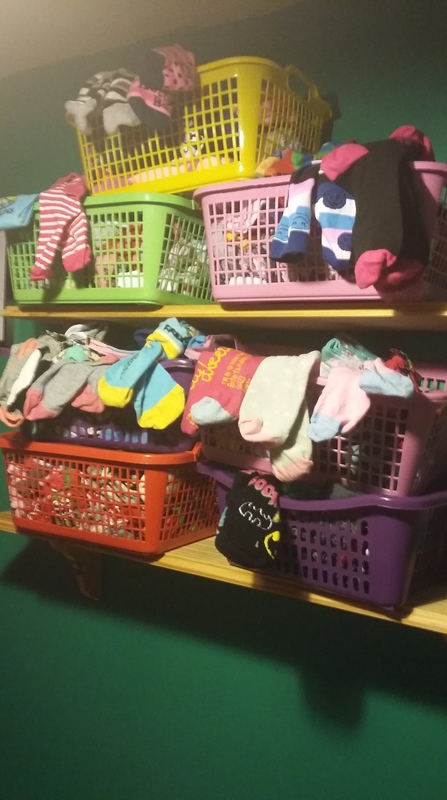 Never underestimate the power of socks! 😉 I’m really happy to learn something new about Nikki. Great interview Jo! Pingback: Authors, Publicity and Socks #PR #publicity | Facing 50 with humour. Lovely interview , Nikki. Hope you know how much you are loved an appreciated by those you help . I’m at the head of that queue . 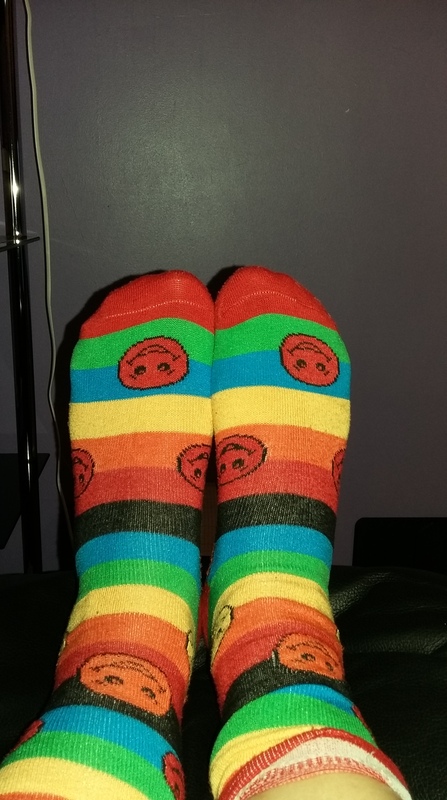 And the socks – brilliant !